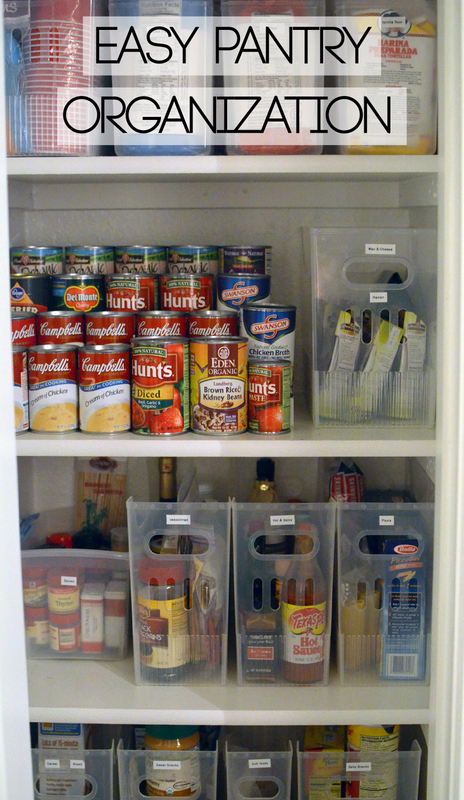 Update : you can see our new pantry and organization in this post! I'm constantly organizing and reorganizing our apartment, and with summer coming to an end I've been in crazy mode. In my most recent project, I organized our pantry using these multi-purpose bins, stay fresh containers, and an expandable can shelf. I also used a couple of undershelf baskets to hold dish towels and linens so they weren't taking up our precious drawer space, and put all of the extra food and doubles of items into one of my favorite striped bins. I also got around to organizing all of my Mom's old photos by sorting and labeling them by year. This was a huge project that I've been putting off for awhile, and it feels so good to have it done. I filled up three of these photo storage containers! I'm pretty sure I kept The Container Store in business for past two weeks! What are some of your favorite organization projects? WOW you spend a lot of time at The Container Store. Do you know that I've never been in one!? I've always wanted to but get distracted when I'm actually near one. I need a can shelf! I went to the Container Store site looking for a can shelf as your photo shows. i didn't see one. I clicked on your link and found the same as I had found. An expandable rack for spices and smaller containers. How did you raise the cans to different levels? Hi Sherry! It's called "expand-a-shelf" and it looks like the photo on The Container Store's website shows it with spices, but I use mine with canned goods. Hope that helps!